I warned you this was coming! Birthpain signs are going to get worse. The Last Chronicles of Planet Earth” July 1, 2011 Edition is now ready for you to download for free. Please note, the download may take some time to download but it will come up. The speed will depend on your computer. WASHINGTON -- After this week, workers laid off through no fault of their own will not be eligible for any of the generous extended unemployment benefits layoff victims have received from the federal government since 2008. "There's a real potential cliff coming for unemployed people," emailed Judy Conti, a lobbyist for the National Employment Law Project, a worker advocacy group. 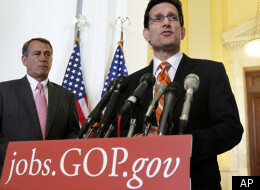 "The federal unemployment programs all expire at the end of this year. This means that anyone who is laid off on July 1st or later, will ONLY receive state benefits unless Congress acts to keep these needed programs up and running." Prophecy Sign: In Luke 21:11 three of the last days signs Jesus warned about are pestilence and famine, and earthquakes in many places. Today I want to cover what is happening concerning these three signs. “The global agriculture supply situation has worsened and a failure to boost food production fast enough to meet demand may lead to shortages, said investor Jim Rogers, chairman of Rogers Holdings. “We’ve got to do something or we’re going to have no food at any price at times in the next few years,” Rogers said in a Bloomberg Television interview with Rishaad Salamat today in Singapore. “I still own agriculture. If I found something to buy, I would buy it.” Rogers joins former United Nations Secretary General Kofi Annan, the UN Food & Agriculture Organization and the World Bank, in highlighting the need to boost global food production and address issues pushing prices higher. Group of 20 farm ministers agreed last week to increase agriculture output, set up a crop database and limit export bans to tackle what French President Nicolas Sarkozy calls the “plague” of rising food prices. Monthly food prices tracked by the FAO have surged nine times in the past 11 months and last month stayed near a record reached in February, as global demand for corn and wheat outstripped production and drought and flooding ravaged harvests. The World Bank estimates higher food prices have pushed 44 million more people into poverty. China, the world’s largest consumer of grains, energy and metals, has raised interest rates four times since October and increased bank reserve requirements nine times to tame above- target inflation. The nation’s food-price inflation was at 11.7 percent in May, matching levels in March and November when they were at the highest since July 2008, the year of the global food-price crisis. Global stockpiles of corn, the most-consumed grain, are forecast to drop to 47 days of use, the fewest since 1974, data from the U.S. Department of Agriculture show. Inventories are declining as demand continues to outstrip production that’s forecast to rise to a fifth consecutive year of record. 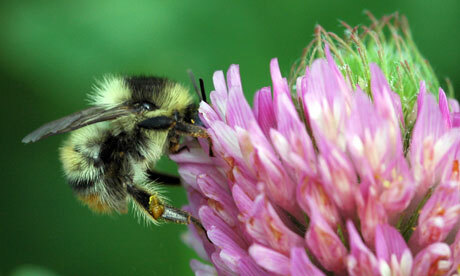 “The abundance of four common species of bumblebee in the US has dropped by 96% in just the past few decades, according to the most comprehensive national census of the insects. Scientists said the alarming decline, which could have devastating implications for the pollination of both wild and farmed plants, was likely to be a result of disease and low genetic diversity in bee populations. Prophecy Sign: God curse on anyone who divides the land of Israel, on anyone who curses Israel or those who come against Israel and Jerusalem. God’s Curse is found in Genesis 12:3),(God’s Curse (Land Division) Joel 3:2 & Obadiah 1:11) Now let's look at an example of this. "RAMALLAH, June 30, 2011(WAFA)- The Government of Japan has decided to extend a Non-project grant aid of 1 billion Yen (approximately $12.4 million) to the Palestinian Authority (PA) as a kind of its budget support to the PA. Notes to this effect were signed and exchanged today on June 30th, 2011 in Ramallah between Salam Fayyad, Prime Minister and Minister of Finance of the PA and Naofumi Hashimoto, Representative of Japan to the PA. According to a press release by the representative office of Japan to the PA, the grant aid is extended as a part of international supports to alleviate the PA financial difficulties. With this grant, PA will procure commodities critically needed for daily economic activities in the Palestinian Territories. Since 2007, in addition to today’s new grant, Japan has extended Non-project grant aids to the PA totaling 6.4 billion Yen (about $69 million on disbursement basis), the release said. 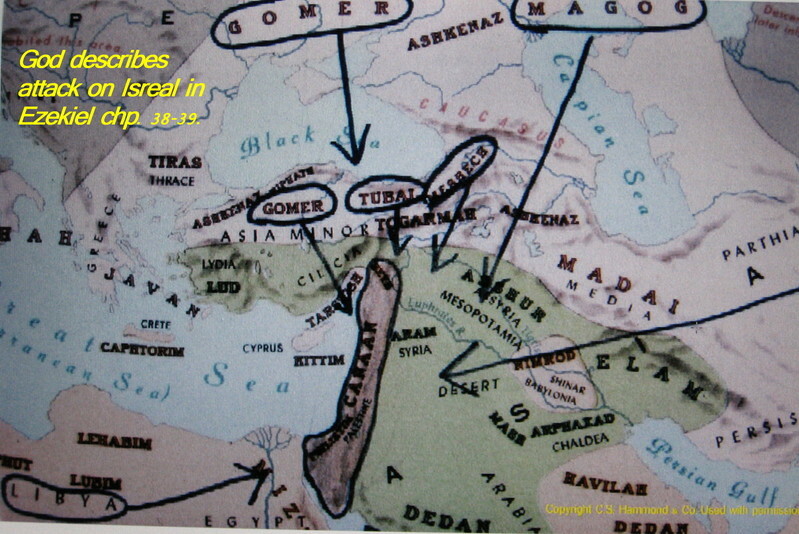 Prophecy Sign: Zechariah 12:3 warns in the last days all the nations will come against Israel. We are now witnessing nation after nations coming against Israel. Here is an example of that. "According to a Religion News Service report, "Jews and Israelis, or passengers carrying any non-Islamic article of faith, will not be able to fly code-share flights from the U.S. to Saudi Arabia under Delta Air Line's new partnership with Saudi Arabian Airlines that is set to begin in 2012." Back in January of this year, Delta announced that it had struck a deal with the Saudi Arabian airline to join its "SkyTeam" network in 2012 but the details of the deal's implications have only recently been revealed. The Saudi airline is SkyTeam's first member from the Middle East. According to the dictates of Sharia law by which Saudi Arabia is governed, the kingdom has strict rules for entry. It prohibits anyone with an Israeli stamp in their passport from entering the country, even in transit. There are indications that passengers with Jewish sounding names have been denied visas." New banner (flag) for South Sudan. I have many people asking if they can help my ministry in any way? Here is something someone can do to help me cut down the time in searching for something I need. Recently I watched a video on how South Sudan has become a new nation and by doing so it has fulfilled Bible prophecy. The Bible says when they will raise their flag on the mountain, the whole world will see. The video I am looking for is about 10 minutes long. It may have been on youtube. If you can find this video please send me the link. I will be sending many books to another Pastor who has seen my work and now wants to teach other pastors in Sudan about the end times using my book The Last Chronicles of Planet Earth. God is blessing this work in many nations and it keeps growing. I am humbled by what Jesus is doing with my labor of love for Him. Thanks everyone for your help. I will post a note telling you when I get the video so you stop your search. “The Last Chronicles of Planet Earth” July 1, 2011 Edition is now ready for you to download for free. Please note, the download may take some time to download but it will come up. The speed will depend on your computer. Sorcery, the occult, and our children. As I was studying the book of Galatians Chapter 5 I came across a list of what Paul calls the “works of the flesh” that are opposed to the Spirit. One of those listed was the word “Sorcery”. I wanted to know exactly what this word in the original context meant so I did some research on it. Here is what I found. In this passage, the word ‘sorcerers’ comes from the Greek word ‘pharmakos’ (Strongs # 5332) which is derived from the Greek word ‘pharmakon’ and is defined in Strong’s Greek Dictionary of the New Testament as follows: a druggist (“pharmacist”) or poisoner. I find this very interesting. A DRUGGIST or POISONER. This is in my opinion a warning against the power of drugs and how they can be used to destroy. The first Red Flag for me, with as many using drugs, legal and illegal we see this is a major problem within the culture today. All Christians should know and understand that If you are struggling with this type of “Sorcery” Jesus Christ died to free you from it, so don’t be condemned, but “walk in the Spirit” to be FREED from it. This is one of many ways the enemy can keep you paralyzed as a Christ follower in Spirit, and in your mental warfare. The other side of the coin has to do with the occult. Sorcery being used in terms of Contacting the Dead, Magic Charms, Casting Spells, Divination and so on. He are some references. When you enter the land the LORD your God is giving you, do not learn to imitate the detestable ways of the nations there. Let no one be found among you who sacrifices his son or daughter in the fire, who practices divination or sorcery, interprets omens, engages in witchcraft, or casts spells, or who is a medium or who consults the dead. Anyone who does these things is detestable to the LORD, and because of these detestable practices the LORD your God will drive out those nations before you. You must be blameless before the LORD your God. The nations you will dispossess listen to those who practice sorcery or divination. 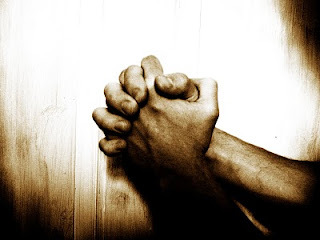 But as for you, the LORD your God has not permitted you to do so (Deuteronomy 18:9-14). Do not practice divination or sorcery (Leviticus 19:26). Therefore this is what the Sovereign LORD says: I am against your magic charms with which you ensnare people like birds and I will tear them from your arms; I will set free the people that you ensnare like birds (Ezekiel 13:20). This is strikingly relevant for today. There are million of christians in the west dabbling in the occult any many don’t know it. Now I’m not going to be dogmatic about this, but I will say that for the Christian we need to protect our children from the subtle influences of this age. Casting Charms, Spells, practicing Magic Arts, and so on God warns us are not of him and he actually considers them “DETESTABLE”. Please view this Video game Demo. This game is literally called “SORCERY” the very word our God warns us to have nothing to do with. It literally puts our children in the seat of a Sorcerer practicing Magic Charms, Spells and practicing Divination. Paul in Galatians told us that these actually wages war against the Spirit of God. Watch this Video Game Demo. Brother and Sisters in Christ. I’m not one that lives UNDER THE LAW so please don’t take this the wrong way but instead I will simple ask as question. If we have been warned about not practicing or partaking in these things and allow our children to be subjected to them will we not be held accountable? I’ll leave it at that. God I pray for Myself as well as he reader. Please help us to Walk in the Spirit, and to love you more than the things in this world. In Jesus name amen. If Obama is not really a US citizen what are his intentions for America? That question I will leave up to you, but this I know, Obama has brought on the Lord's curse on America for he has taken a stand against Israel in trying to divide Israel into a two state nation, and working to give East Jerusalem back to the PLO. First of all, for all the new people at my site today, I can assure you that the European Union is the revived Western leg of the old Roman Empire. I have always said, when the economic chaos strikes, and the world it tossed into the worse depression it has ever seen, that will be the time the Antichrist will rise up from with in the revived Roman Empire. Since the EU is the Western leg of the old Roman Empire we need to pay attention to what is happening with the EU, just in case this is the leg Jesus is pointing to. One thing is very clear to us, the EU is in serious trouble and just as Daniel warned in the prophecy we see the EU is not adhering to one another. We also see some of the nations in the EU are really strong, such as Germany, and we also see nations that are fragile such as with Greece. Greece could be what begins to break up the EU into smaller parts. If you came to my post yesterday you saw the news video concerning the rioting going on in Greece over Greece’s financial state. Today Greece has to vote, on keeping the State going or to fall into default. The news from the euobserver will explain. This is the bottom line. Whether it is Greece that starts the worldwide financial collapse, or the US debt that crushes the American financial system, which starts the dominos to fall, we know that a collapse is coming. There is no way the entire world would agree to hand over the leadership of the entire world’s economy to one person unless there was some major event that forced the world to it. Jesus’ words in Rev. 13:16-18 will be fulfilled so get ready to witness the collapse. Prophecy Sign: God gave us many promises in His Word. Some of those promises are truly a blessing, while others are a curse. In Genesis 12:3 God promised to bless you if you bless Israel. He also promised to curse you if you cursed Israel. In Joel 3:2 you read God is going to destroy anyone who divides the land of Israel, and in Zechariah 12:3 God promises to cut anyone who comes against Jerusalem into pieces, or even burdens themselves over the city. I have been keeping track of nations who are cursing Israel to see what happens to them soon after they attack her. Keep in mind, this attack does not have to even be a physical attack, it could be statements like we see coming out of Iran, where Iran’s President continues to say he will wipe Israel off the map. On June 10, 2011 Egyptian Cleric Safwat Higazai gave a speech to a packed house. In his speech he proclaimed Egypt would attack Jerusalem, and Egyptians would become martyrs when they liberate Jerusalem. After he made his speech we read news that Egypt was again building up violence in the streets. Then on June 29 we see that new acts of violence is the worse in weeks. “Egyptian police have clashed with hundreds of anti-government protesters in Cairo's Tahrir Square, leaving several people injured. Riot police fired tear gas to try to disperse the protesters, many of whom hurled stones at the police lines. Tahrir Square was the epicentre of February's revolt that led to President Hosni Mubarak being toppled. Many of the protesters were calling for the prosecution of former officials to be speeded up. As dawn broke, stones and broken glass littered the streets around Tahrir Square. Witnesses said it was worst violence in the square for weeks.” As usual, we also see some man made, or natural disasters, happen shortly after someone attacks Israel. Chaos, in the streets is not uncommon after Israel is threatened. As long as Egypt sends out messages of hate toward Israel she will remain under God’s curse, and it she doesn’t abandon the calls to liberate Jerusalem she will find herself cut into pieces just as was promised in Zechariah 12:3. At this point, I see no reason to believe the leaders, or the Cleric’s in Egypt are going to begin to bless Israel. One of the questions I am asked is this, when do I think the nations who are cursing Israel be destroyed? All you have to do is look to Psalm 83, and Ezekiel 38 for the answer. When the nations listed in the Psalm war, which include Egypt attack Israel, they will all be wiped out at the same time. The rest of the nations that do not border Israel of which Iran will be included will be wiped out during the Ezekiel war. Even after the Ezekiel war is over, the world won’t stop cursing the nation of Israel. All who oppose God and Israel will finally be taken care of by the Lord at the battle of Armageddon. Prophecy Sign: In chapter 21 of Luke, chapter 24 of Matthew, and chapter 13 of Mark we read Jesus warning us of the last days sign of famines. Revelation 16:8-11 we read Jesus warning us about the intense heat that would scorch the Earth in the last days, and Revelation 7: 15-16 points to the droughts, because Christ shows us the people who came out of the tribulation and made it into heaven would no longer be hunger, or thirst. Knowing that Planet Earth has already seen the beginning of the last days birth pains, no one who knows God’s warnings about these things should be surprised to read about the massive droughts that are causing famines. I quote, “Ten million people in the Horn of Africa have been hit by the worst drought in 60 years, with the situation deteriorating to the point of famine in some areas, the UN said Tuesday. "Over ten million people are affected by the drought in one way or other," said Elisabeth Byrs, spokeswoman for the UN Office for the Coordination of Humanitarian Affairs. "We believe that the drought situation in certain regions is the worst in 60 years. In several regions, we can speak of famine," she added.” Christ told us that when we shall see all these things to look up for our redemption draws close. Since all these signs are already here, I hope you are doing what Christ asked of you? Prophecy Sign: "But thou, O Daniel, shut up the words, and seal the book, even to the time of the end: many shall run to and fro, and knowledge shall be increased (Daniel 12:4). One of the last day signs that was specifically a sign for the last generation, just prior to Jesus second coming is this prophecy. The Lord made it very clear what the last generation would look like. In Matthew chapter 24 Christ told us the last generation would be just like the people who lived during Noah’s generation and that has taken place. In Revelation chapter 21 Jesus shows us the last generation would be known as a drug generation and that has also come to pass. Add Daniel 12:4 to these other signs, and there is no guessing as to who the last generation Jesus is pointing to. It is ours! If you still doubt, Christ also showed us in Matthew chapter 24 that all these things would happen when we saw Israel come back as a nation again. That took place on May 14, 1948 and since Israel’s birth all these things have come to pass, so there is no doubt you are living in the last generation. Notice if you will, Let me give you to examples of what our generation is doing as far as the increase in knowledge and people traveling back and forth is concerned. This generation has become so smart they can now even grow meat for you to eat that is grown in a lab. “The first ‘test-tube’ hamburger is only a year away, scientists claim. They believe the product, beef mince grown from stem cells, could pave the way for eating meat without animals being slaughtered. The Dutch scientists predict that over the next few decades the world’s population will increase so quickly that there will not be enough livestock to feed everyone. As a result, they say, laboratory-grown beef, chicken and lamb could become normal. 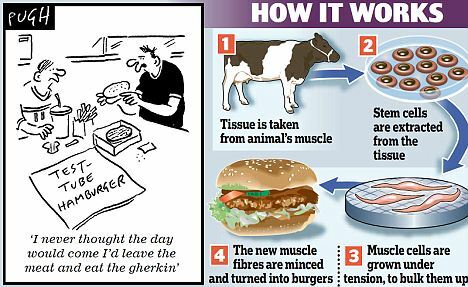 The scientists are currently developing a burger which will be grown from 10,000 stem cells extracted from cattle, which are then left in the lab to “ Seems man is trying to create everything that God has created for them. The last time man thought he was so powerful they tried to build a tower that would reach all the way into heaven. Of course if you know the story of the Tower of Babal, you know God stopped them from ever finishing it. The same thing is going to happen with this generation via the seven year tribulation. Prophecy Sign: “But of the times and the seasons, brethren, ye have no need that I write unto you. For yourselves know perfectly that the day of the Lord so cometh as a thief in the night. For when they shall say, Peace and safety; then sudden destruction cometh upon them, as travail upon a woman with child; and they shall not escape” (1 Thessalonians 5:1-3). When you study Bible prophecy you come to find out there aren’t many prophecies left to be fulfilled before the seven year tribulation begins. One of the prophecies that still has to be completed is the second part of 1 Thessalonians 5:3, which is the “sudden destruction” that will come while they are still call for this Pease and safety. We know what this destruction is going to be. It is clearly war against Israel. We don’t know exactly when war will break out, but we do know it will be soon. There is the possibility that a war may begin as a result of another flottilla of ships which are to steam toward the Gaza soon, or war could break out as the result of the PLO going before the UN to get recognized as a nation inside Israel territory. What we do know is Israel is preparing for a conflict. I quote, “Israel's military is making intensive preparations for an outbreak violence in the West Bank over a U.N. vote in September on recognizing a Palestinian state, Israeli military officials said Monday. Palestinians, meanwhile, pushed ahead with their drive. Palestinian officials are fanning out around the world to raise support for their initiative. They hope to change the minds of U.S. leaders, who appear poised to veto a resolution in the U.N. Security Council to admit Palestine as a full member of the United Nations. For the first time, a senior Palestinian official described a fallback position Monday. Nabil Shaath said if the U.S. blocks the initiative for U.N. membership, the Palestinians would try for nonmember state status at the world body. "This would open the way for us to get membership in all the U.N. institutions, such as the World Bank and the International Monetary Fund," he said. The statehood campaign emerged from the long deadlock in Israeli-Palestinian negotiations and the Palestinian conviction that the government of Israeli Prime Minister Benjamin Netanyahu is not serious about making peace. On Sunday, the West Bank Palestinian leadership formally decided to seek U.N. recognition of a state in the West Bank, Gaza Strip and east Jerusalem. Contrary to the purportedly peaceful nature of the flotilla setting out this week to break Israel's Gaza blockade, Israeli intelligence sources reported Monday, June 27, that some of the activists aboard the boats are extremists who are perfectly willing to forcibly resist efforts to intercept them and are ready to kill Israeli servicemen coming on board. Senior officials in Jerusalem who briefed reporters Monday night reported information received that the organizers of the flotilla had laid in a store of poisoned chemicals aboard the ten or so vessels in the flotilla for use against Israeli troops boarding them. They are quoted as saying they had no problem with spilling the blood of Israeli soldiers. Another falsehood exposed is the Turkish IHH's statement that its members had withdrawn from the expedition. This turns out to be a deliberate red herring. Not only are IHH Islamic fundamentalists aboard but also likeminded Arab and other nationals. In fact, Israeli intelligence had identified at least two Hamas supporters”. “Earlier Monday, the Israeli defense cabinet approved the navy's plan for preventing the flotilla from reaching Gazan shores by "firm and determined action." Psalm 83 warns us that Egypt will be one of the nations that attack Israel with the rest of the nations that border Israel. 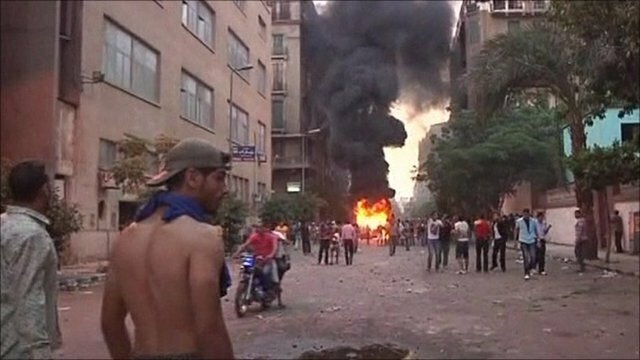 Let this video show you what God has warned is on the lips of leaders in Egypt. The next Middle East war is close! Prophecy Sign: God’s curse on anyone who curses Israel, or comes against Israel and Jerusalem. See Genesis 12:3, Joel 3:2, and Zechariah 12:3. People look at what is happening in Greece and they shake their heads. Many are asking what in the world is going on in Greece. Let me give you the answer from God’s Word. Just take time to read the three prophecies above. God warned anyone who curses Israel, or divides up the land of Israel, or even burdens themselves over God’s city of Jerusalem will not only fall under His curse, but He will cut them into pieces. Prophecy Sign: Let me add one more prophecy to this news. Read Matthew 24:7 and you will learn Jesus told us to look for civil unrest in the last days. Christ tells us in verse 7 that kingdom will come again kingdom. That is what is happening in Greece. I promise you this. This is one of the most powerful, and up-to date books on prophecy you will read today, and it comes to you for free with no strings attached. There is more proof in this book that shows Bible prophecy is being fulfilled than you will ever need, but in order to show you Christ's words are coming to pass I have given you as much information as I can. Read The Last Chronicles of Planet Earth and find out why so many are coming to Christ as a result of this work. Pastor Titus from Kenya, e-mailed me a note showing me what Jesus is doing in Africa via my work for him through the book. Since Titus has gotten my book he has witnessed to many in Africa using my book to show the people how close we are to seeing the Lord’s return. Because of Titus’ work in the field, there are now 23 Pastors in Africa teaching about the last days from my book. Titus also informed me that there are many in the churches that also branched out, and are also using the book to lead people to Christ. The Lord is also expanding my ministry by opening the door for my book to be printed up in Australia, and India, as He has laid it on the hearts of men in these nations to print up my book, and hand them out for free. I am truly humbled by what is going on! Prophecy Sign: Jesus in Rev. 13:15-17 warns us about a New World Order that will be coming, which will be run by the Antichrist. Christ does not mention the words, New World Order however, we understand what He means when He tells us that no one will be able to buy or sell anything unless they take the Antichrist’s mark. This is exactly what Jesus says, “15And he had power to give life unto the image of the beast, that the image of the beast should both speak, and cause that as many as would not worship the image of the beast should be killed. 16And he causeth all, both small and great, rich and poor, free and bond, to receive a mark in their right hand, or in their foreheads: 17And that no man might buy or sell, save he that had the mark, or the name of the beast, or the number of his name.” We know that this present economic is falling apart and it is pushing toward the system Jesus warned about. Watch the video and count the number of times you hear them say they want to bring on this New World Order. I want to thank everyone who answered my plea for typing up the Commentators words in the video. As you can see, my Sisters in the Lord did answer my request for help. Chinese President Hu Jintao, St Petersberg. Today’s headline reads, “All signs say Iran is racing toward a nuclear bomb” I quote, “Iran's leadership is undaunted by the sanctions imposed on the country and seems unhindered by the damage the Stuxnet computer worm caused to the centrifuges at the uranium enrichment facility in Natanz.” “About two months after Abbasi Davani was shot, in January 2011, Iranian President Mahmoud Ahmadinejad appointed him as his vice president and as head of Iran's Atomic Energy Organization, a defiant move that seemed to say Iran would continue its nuclear program and no one could stop it. Some two weeks prior to his arrival in Vienna to take part in the IAEA's Ministerial Conference on Nuclear Safety, Abbasi Davani announced that by the end of the year, Iran would triple the amount of uranium it has enriched to a level of 20 percent. Though uranium enriched to this level is intended mostly to fuel Tehran's small nuclear research reactor, which produces medical isotopes, it also bolsters the knowledge of Iranian nuclear experts and their ability to control all stages of enrichment - including to a level of 93%, which enables the production of fissile material used in making a nuclear weapon. This announcement by the head of Iran's Atomic Energy Organization was very disturbing to Israel, the United States and other Western countries. It indicates that Iran is determined to continue its nuclear program at full speed and is even accelerating the pace.” Since President Ahmadinejad has again recently stated he will wipe Israel off the map, I see no reason why not to believe Iran will make an attempt to destroy Israel. I also know that what Iran thinks they will do to Israel, they themselves will receive. In this case a fire of which God showed Ezekiel. Could God take a nuclear bomb that had Israel’s name on it from Iran, and turn it against themselves during this war? It wouldn’t surprise me to see this very thing taking place soon. I believe that Iran’s rush for the bomb, will be their undoing, and just as the scriptures says, God’s name will be sanctified as a result of it.